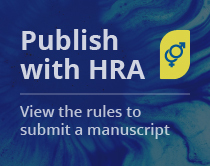 Objectives: This study aimed on analyzing vitamin D serum levels and its impact on oocyte quality in patients undergoing in vitro fertilization (IVF) procedures at a human reproduction laboratory located in Curitiba, Brazil. Methods: This article is an observational cross-sectional study of retrospective data collected from the medical history of patients that have undergone IVF treatment between January 2015 and December 2015 in a specialized clinic (Clínica de Reprodução Dr. Ricardo Beck da Maternidade Curitiba) located in Curitiba, Brazil. Different vitamin D levels where compared with a variety of oocyte qualities and in vitro cleavage percentage. Results: We identified a prevalence of deficient (≤ 20 ng/mL) and insufficient (21-29 ng/mL) vitamin D levels among the patients in this study. No evidence was found that could confirm an effect of vitamin D on oocyte quality or in vitro cleavage percentage. Conclusion: Age has been shown to be an important factor in altering the number of oocytes available after pharmacological induction and oocytes with adequate quality for implantation at the end of the in vitro cycle. Due to the importance of the subject, further studies are essential for a better understanding of the effect of vitamin D on human fertility and IVF procedures. vitamin D; fertility; in vitro fertilization; IVF. 1. Maeda SS, Borba VZC, Camargo MBR, Silva DMW, Borges JLC, Bandeira F, Castro-Lazaretti M, et al. Recomendações da Sociedade Brasileira de Endocrinologia e Metabologia (SBEM) para o diagnóstico e tratamento da hipovitaminose D. Arq Bras Endocrinol Metab. 2014;58(5):411-33. 2. Unger MD, Cuppari L, Titan SM, Magalhães MC, Sassaki AL, Reis LM, et al. Vitamin D status in a sunny country: where has the sun gone? Clin Nutr. 2010;29(6):784-8. PMid:20637530. http://dx.doi.org/10.1016/j.clnu.2010.06.009. 3. Peters BS, dos Santos LC, Fisberg M, Wood RJ, Martini LA. Prevalence of vitamin D insufficiency in Brazilian adolescents. Ann Nutr Metab. 2009;54(1):15-21. PMid:19194104. http://dx.doi.org/10.1159/000199454. 4. Lichtenstein A, Ferreira-Júnior M, Sales MM, Aguiar FB, Fonseca LAM, Sumita NM, et al. Vitamina D: ações extraósseas e uso racional. Rev Assoc Med Bras. 2013;59(5):495-506. PMid:24094756. http://dx.doi.org/10.1016/j.ramb.2013.05.002. 5. Hollis BW. Assessment of vitamin D status and definition of a normal cir-culating range of 25-hydroxyvitamin D. Curr Opin Endocrinol Diabetes Obes. 2008;15(6):489-94. PMid:18971676. http://dx.doi.org/10.1097/MED.0b013e328317ca6c. 6. Kuchuk NO, Pluijm SMF, van Schoor NM, Looman CWN, Smit JH, Lips P. Relationships of serum 25-hydroxyvitamin D to bone mineral density and serum parathyroid hormone and markers of bone turnover in older adults. J Clin Endocrinol Metab. 2009;94(4):1244-50. PMid:19158198. http://dx.doi.org/10.1210/jc.2008-1832. 7. Alves M, Bastosa M, Leitão F, Marques G, Ribeiro G, Carrilho F. Vitamina D – importância da avaliação laboratorial. Rev Port Endocrinol Diabetes Metab. 2013;8(1):32-9. 9. Halloran BP, Deluca HF. Effect of vitamin D deficiency on fertility and reproductive capacity in the female rat. J Nutr. 1980;110(8):1573-80. PMid:7400847. 10. Dzik A, Donadio NF, Esteves S, Nagy Z, organizadores. Atlas de reprodução assistida. 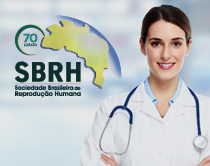 São Paulo: SBRH; 2012. 11. Abreu LG, Santana LF, Navarro PAAS, Reis RM, Ferriani RA, Moura MD. A taxa de gestação em mulheres submetidas a técnicas de reprodução assistida é menor a partir dos 30 anos. Rev Bras Ginecol Obstet. 2006;28(1):32-7. http://dx.doi.org/10.1590/S0100-72032006000100006. 12. Baird DT, Collins J, Egozcue J, Eyers LH, Gianaroli L, Leridon H, et al. Fertility and ageing. Hum Reprod Update. 2005;11(3):261-76. PMid:15831503. http://dx.doi.org/10.1093/humupd/dmi006. 13. Paffoni A, Ferrari S, Viganò P, Pagliardini L, Papaleo E, Candiani M, et al. Vitamin D deficiency and infertility: insights from in vitro fertilization cycles. J Clin Endocrinol Metab. 2014;99(11):E2372-6. PMid:25121462. http://dx.doi.org/10.1210/jc.2014-1802. 14. Moura MD, Oliveira VA, Sala MM, Ferriani RA, Reis RM. Comparação entre três escores embrionários como fator prognóstico do sucesso em fertilização in vitro. Rev Bras Ginecol Obstet. 2003;25(3):177-83. http://dx.doi.org/10.1590/S0100-72032003000300006. 15. Chuang CC, Chen CD, Chao KH, Chen SU, Ho HN, Yang YS. Age is a better predictor of pregnancy potential than basal folliclestimulating hormone levels in women undergoing in vitro fertilization. Fertil Steril. 2003;79(1):63-8. PMid:12524065. http://dx.doi.org/10.1016/S0015-0282(02)04562-4. 16. Gomes LMO, Canha AS, Dzik A, Novo NF, Juliano Y, Santos SIS, Cavagna M. A idade como fator prognóstico nos ciclos de fertilização in vitro. Rev Bras Ginecol Obstet. 2009; 31(5):230-4 233. 17. Hickie JP, Lavigne DM, Woodward WD. Reduced fecundity of vitamin D deficient rats. Comp Biochem Physiol A Comp Physiol. 1983;74:9235. 18. Kovacs CS, Woodland ML, Fudge NJ, Friel JK. The vitamin D receptor is not required for fetal mineral homeostasis or for the regulation of placental calcium transfer in mice. Am J Physiol Endocrinol Metab. 2005;289(1):E133-44. PMid:15741244. http://dx.doi.org/10.1152/ajpendo.00354.2004. 19. Luk J, Torrealday S, Neal Perry G, Pal L. Relevance of vitamin D in reproduction. Hum Reprod. 2012;27(10):3015-27. PMid:22824625. http://dx.doi.org/10.1093/humrep/des248. 20. Ozkan S, Jindal SD, Greenseid K, Shu J, Zeitlian G, Hickmon C, et al. Replete vitamin D stores predict reproductive success following in vitro fertilization. Fertil Steril. 2010;94(4):13149. PMid:19589516. http://dx.doi.org/10.1016/j.fertnstert.2009.05.019.